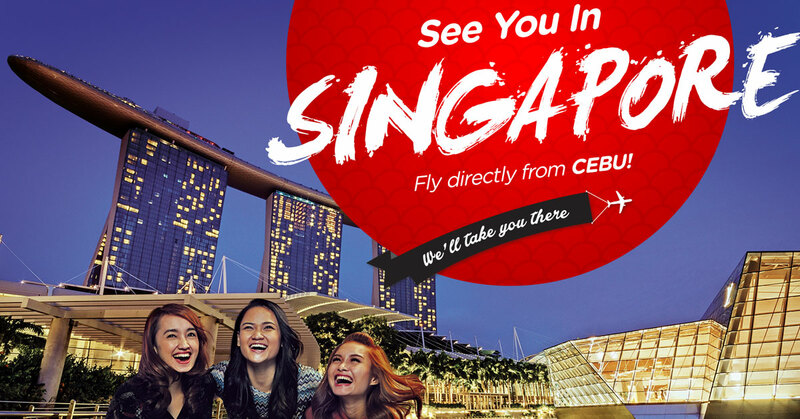 AirAsia announced it will operate direct flights from Cebu to Singapore starting November 25. To celebrate the launch of the route, AirAsia is offering promotional fares on airasia.com from as low as P888 for travel between November 25, 2016 and March 24, 2017. Promotional fares are up for grabs from today until October 23 only. AirAsia’s newest Cebu-Singapore announcement came two days after its executives led by its CEO Dexter Comendador with Department of Tourism head for route development Erwin Balane and Taiwan Economic Cultural Office director for press division Jerry Cheng-An Chuang arrived in Cebu last Wednesday to formally open the Cebu-Taipei route. Besides Singapore and Taipei, AirAsia announced earlier that it will also increase flights between Cebu and Kuala Lumpur from three to four times weekly effective 29 October. AirAsia also services direct flights from Cebu to Incheon (Seoul) in South Korea.